The theme for this bat mitzvah was cakes, cakes and more cakes. Even the floral arrangements were flower cakes. Sonia Sharma Events designed this beautiful bat mitzvah ballroom, and Eddie Zaratsian at Tic-Tock Florals created the floral pieces. Canopied dining areas lined the perimeter of the ballroom, and each canopied area had its own chandelier as well as more floral cakes. The actual cake, created by Ruben's Cakes, had two non-edible layers that actually lit up. 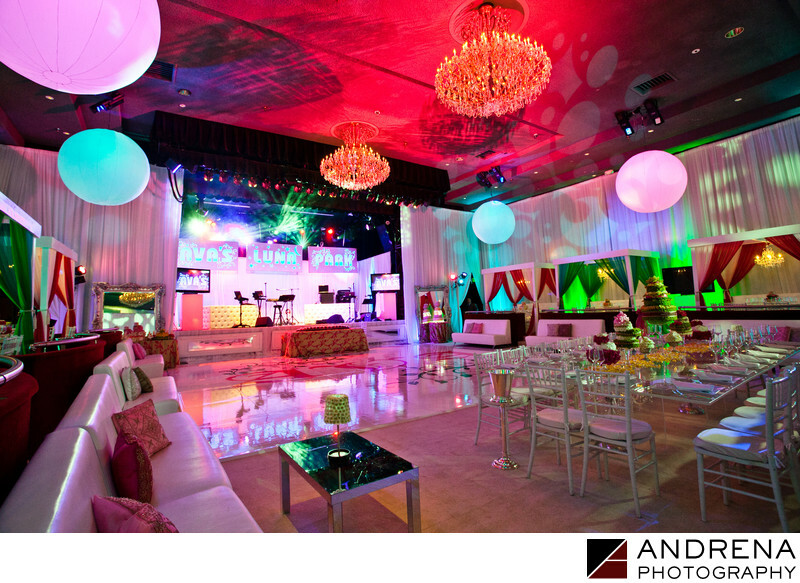 We love being bat mitzvah photographers in Los Angeles because every bar or bat mitzvah we do is so different.